If you want a basic understanding of computer vision's underlying theory and algorithms, this hands-on introduction is the ideal place to start. As a student, researcher, hacker, or enthusiast, you'll learn as you follow examples written in Python - the easy-to-learn language that has modules for handling images and mathematical computing and data mining on a par with commercial alternatives. 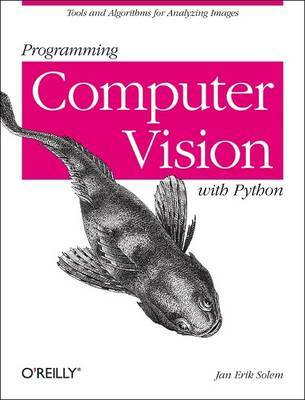 Programming Computer Vision with Python teaches computer vision in broad terms that won't bog you down in theory. Instead, you'll find this book to be inspiring and motivating. You'll get all the code you need, with clear explanations on how to reproduce the book's examples and build upon them directly.